Established in 1998, the 3rd Generation Partnership Project (3GPP) unites telecommunications standard development organizations from the different regions of the world and provides their members with a stable environment to produce the Reports and Specifications that define 3GPP technologies (Future LTE, 5G). 3GPP specifications and studies are contribution-driven, by member companies. The work has to be continuous in order to harmonise rapidly changing standards. According to the agreement signed on 21st October 2016 between PSCE and 3GPP, PSCE received the Market Representation Partner status. PSCE is taking part in SA1 (Service and feature requirements applicable to mobile and fixed communications technology) and SA6 (definition, evolution and maintenance of technical specification(s) for application layer functional elements and interfaces supporting critical communications (e.g. Mission Critical Push To Talk). 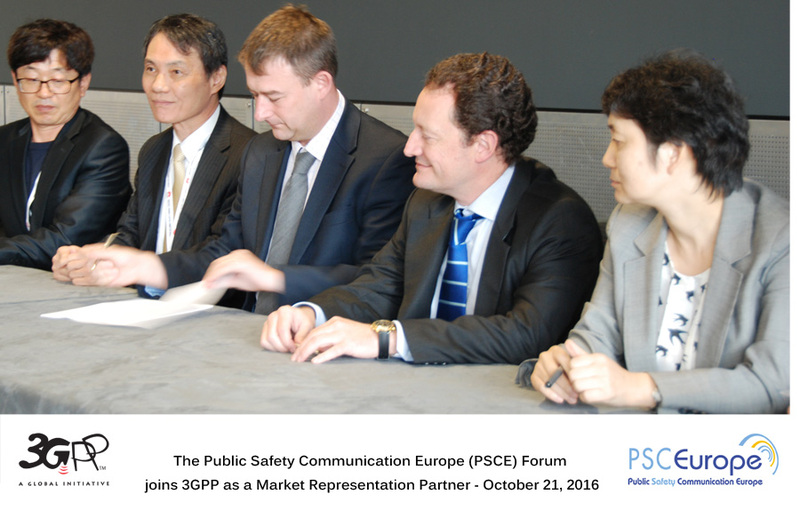 PSCE is therefore contributing actively to the Public safety prioritization for MCData and MCVideo functions, features and capabilities and unites the voices of different European PPDR organisations.